Professor Lim Keuky has devoted his life to the promotion of diagnosis, treatment, and self-management for Cambodians living with diabetes. He founded the CDA to achieve these ends. Prof. Keuky was born and raised in Cambodia. His father, Keuk Ky Lieth, based in Kampong Khleang, worked in the traditional fish industry, which at that time was a major industry using about half of Tonle Sap. His mother, Neang Tan Poung, was a native of Siem Reap. She was a homemaker, raising seven children, including three girls. Growing up, Prof. Keuky always had a curiosity about the world and God. In part, this curiosity led him to take his academic pursuits abroad. He graduated from the University of Texas in 1961. From there, he went on to do doctoral work in pharmacodynamics at the Université de Paris V Descartes. In 1979, he received his Doctorate of Endocrinology from Paris VI University. Dr. Keuky’s extensive professional experience includes public service to Cambodia, having spent 1966 to 1975 in such positions as Information Minister and Foreign Affairs Minister in Cambodia. He also spent many years in Europe, working in quality control in the pharmaceutical industry, and consulting for the World Health Organization. In the mid-90s, Dr. Keuky began to notice an increase in the number of Cambodians suffering from what appeared to be diabetes complications—a disease previously not associated with the country. He soon after founded the Institut (IDD-Cambodia) in 1998, and followed up with the Cambodian Diabetes Association (CDA) in the year 2000. Since the founding of the CDA, Prof. Keuky has kept progressing with his work. 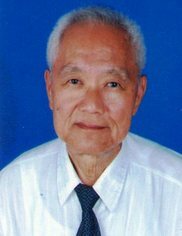 In 2004, for example, he was instrumental in facilitating epidemiological studies in Cambodia. He has gone on to help establish 9 specialist diabetes clinics all around Cambodia. Although Prof. Keuky has accomplished a great deal for the country of Cambodia, especially in regards to the treatment of diabetes, he feels there is much more to do. With the help of the CDA and CDA SRB, its members, and its supporters, he is confident that together they can achieve all of their treatment and educational outreach goals.